After seeing that a lot of people get confused about how to get started on y99 chat I decided to write this short article to explain how to use y99 chat. 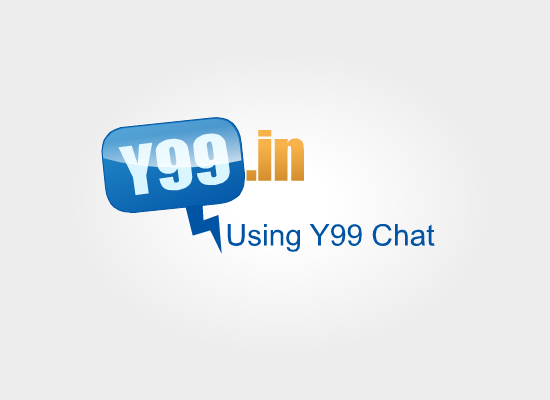 Using y99 chat on pc is easy and so this article will revolve around using it on mobile. 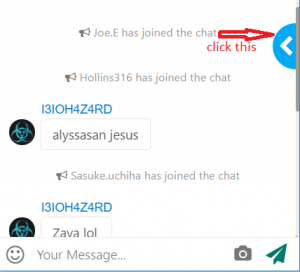 After you click the “Enter The Chat” button you will be redirected to a landing room if you have not entered the chat using a share link. Also landing room depends upon the region you come from and how many users from your region are active then. In case the users from your region is low you will be transferred to a common room for users from various countries. Getting started is easy. Either you can directly start chatting into the group you have landed or you can join a different room(explained below). To tag any user click on their name and write message after that. Tagged messages appear with your name in blue and when you tag someone else they will see their name in blue. 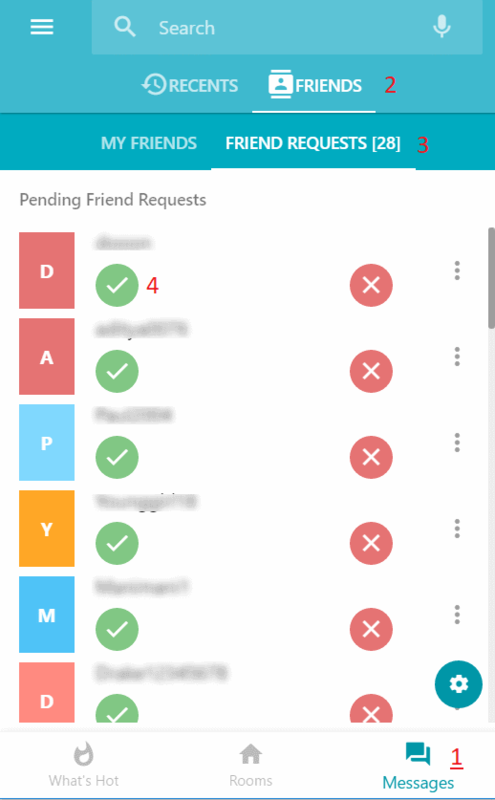 On clicking the blue button there the navigation panel will appear and you will be able to see the userlist, messages and rooms section. From the rooms section you can search as well as join other rooms. Navigating on y99 chat is very easy. If you are on a mobile phone swipe left/right to navigate between panels and chat. Swipe right to bring the panel and left to switch back to the group chat. You can follow the steps(1,2,3,4) as shown in the screenshot below to accept a friend request. I used to hear people singing songs on Yahoo Chat can you still sing in chat???? Hello JohnDouglas, we do not have “singing” feature. However, we have audio calls but you can only sing to the person you call. We will work on your suggestion and try our best to implement this feature in upcoming update. I used to use a nick. Now i’m giving the proper username and password but it keep on showing the combination is incorrect. How can i get my ID back? Please use the contact button at the homepage to reach us quickly. You have been sent a reply for your issue on your email.